I saw “Leaning into the Wind” with Andy Goldsworthy yesterday. In my mind it was superimposed upon my current obsession with Paleolithic art and signs. Goldsworthy seemed to me to be a shamanic figure, making lines and markets upon the earth with clay and rocks, like our unimaginably distant ancestors. Who were us. He climbed into trees a lot; this could have a relationship to the practice of “climbing the world tree,” one of the ways the ancients visualized entering the spirit world. His body was part of the art. 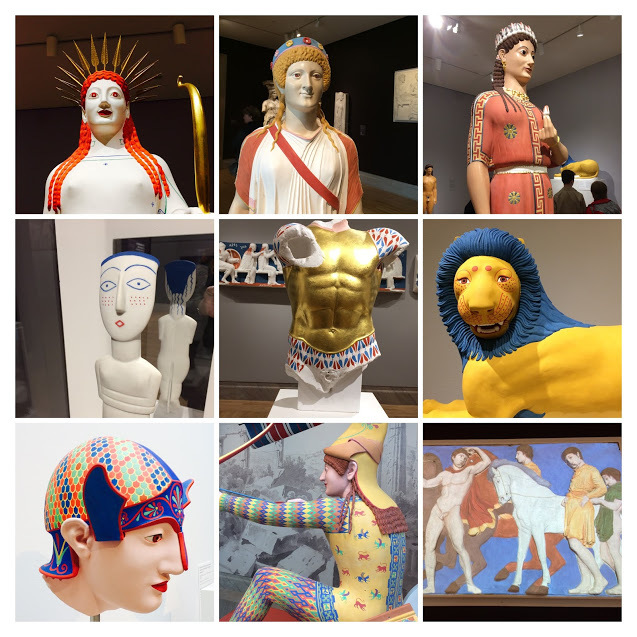 It’s also interesting to me that the few colors he did use, from leaves, petals, or perhaps natural earth pigments, were deep yellow and red. The use of ochre, often heated to produce an even more striking red color, is the first evidence of differentiated color preference in early humans. Goldsworthy spent a lot of time breaking stones, which reminded me of our first tools, the chipped stone hand axes. He made grave-like stone sleeping hollows and tomb-like tunnels. Red ochre was used to make signs, dots and forms in the deepest, smallest passages, some of them hardly more than animal burrows. 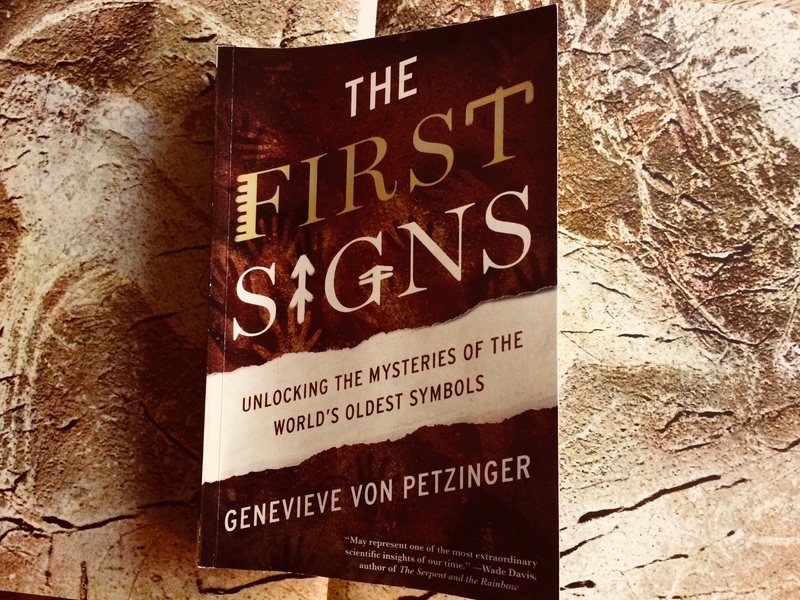 I am reading “The First Signs” by Genevieve von Petzinger. She has spent years crawling through dripping, muddy, claustrophobic passages recording abstract graphic forms. Mud was everywhere in Leaning Into the Wind, along with streaming walls, slick pavements and goopy clay mixed with human hair. The movie’s soundtrack is as compelling and hypnotic as the film. Goldsworthy talks transparently about his own evolution as an artist. For some people, preferring the Goldsworthy of sixteen years ago in Rivers and Tides, it might prove more of a “Dylan goes electric” letdown. I found it trance-like and moving. Have you ever had one of those dreams where you work hard in your dream all night and wake up tired? The film produces an effect like that. Recommended. Currently at the Summerfield, at 3:45 only.